You’re more than likely on this page for one reason alone—to learn more about the GMAT and its various sections. And what is the GMAT? Formally known by its full title, the Graduate Management Admission Test, the GMAT serves as an alternative to the ever popular GRE. Both tests are made to evaluate those hoping to advance through higher education and enter graduate school by making sure they have the necessary skills to thrive in the grad school environment. However, despite their similar premises, these two tests possess stark differences in terms of audience and content. The primary difference between the GRE and the GMAT, for starters, is the GMAT caters to business students. It is common knowledge that business studies are vastly different compared to any other kind of undergraduate or graduate field. Business in itself is a highly competitive and volatile industry, filled with those who were able to succeed and even more so with those who (for a myriad of reasons) weren’t able to make the cut. Proper success in the business world is, as a result, based partly on luck and partly on having the know-how when it comes to connecting with others, marketing yourself properly, and running your business efficiently rather than letting it run you. Gaining the knowledge necessary to become a competent and effective businessperson is a vital component of entering the business world. As such, the GMAT focuses exclusively on making sure business school applicants possess the attributes that are most commonly utilized and strengthened within a business-oriented post-graduate program. The GMAT caters to those hoping to obtain an advanced degree in Finance, Marketing, and/or other aspects of business. Also like the GRE, the GMAT has a very wide reach, both internationally and nationally. Over 100 nations rely on the GMAT for business graduate program admissions alone, and the sheer amount of schools who accept the GMAT as part of their admission requirements totals to over 2,000. The test receives several hundreds of thousands of takers per year—around 250,000, give or take. The GMAT was originally developed by the GMAC, or Graduate Management Admission Council. After noticing the lack of standardized educational content devoted exclusively to business school attendees, the GMAC resolved to create one geared to evaluating the preparedness of potential business students. This project morphed into the GMAT, born in the year 1953. The GMAT covers four distinct subjects: Verbal, Analytical Writing, Quantitative, and Integrated Reasoning. This particular overview will be covering the GMAT Quantitative section. What does Quantitative mean as far as the knowledge you’ll need to stay afloat in business school? In brief terms, the Quantitative section qualifies as a math exam. The GMAT defines the Quantitative section of the exam as being meant to evaluate your handle on reading and interpreting quantitative data—graphs and similar measurements related to the amounts of things—as well as your ability to glean information from word problems. Quantitative information shows up in scores in the business world. You will constantly have to stay on top of various types of data related to your business, including client statistics, income and profits, and even more. If you do not keep track of your business data, you sacrifice valuable organization, which is highly important to business management. If you’re planning on going into accounting or a similar subject, knowing how to interpret and apply data is all the more important. Your clients will be relying on you to help manage their business from a financial and/or statistical standpoint, meaning you’ll have to know how to work with numbers and data as efficiently as possible. 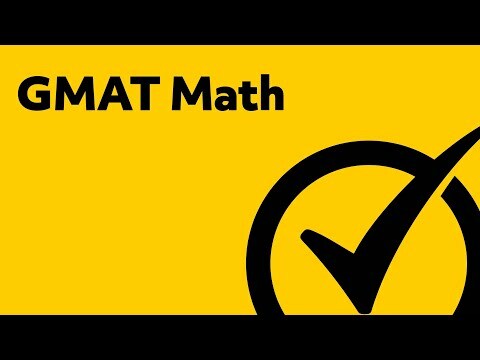 While the GMAT is very important, you do not have to fret over obtaining a great score—whether you have strong mathematical skills or not so much. Remember: time is on your side. 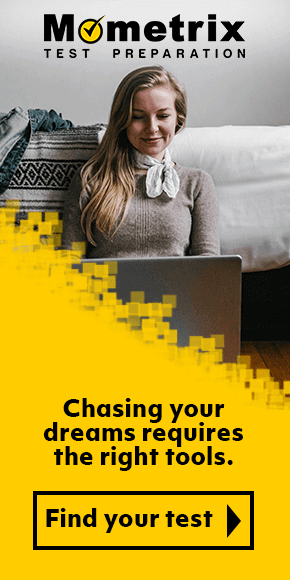 Because of its incredibly wide audience, the GMAT is offered several times per year, permitting you plenty of time to study and prepare as much as possible and plan your testing date accordingly. Furthermore, we at Mometrix Test Preparation are here to help you! We have organized this GMAT Quantitative section overview to help you prepare for the test. 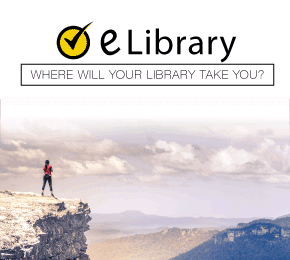 On this page, you will find detailed information about the Quantitative section: how it is formatted, what you will be expected to know, and how you can prepare for each knowledge category featured on the exam. You will also find links to a more comprehensive GMAT Quantitative study guide for further specifics. If you find you still need more help, we also offer a GMAT Quantitative practice test and GMAT Quantitative flashcards as additional study tools. We want to make sure you have all the tools necessary to excel on the GMAT. Now, let’s dive into the specifics of the GMAT Quantitative section! What Is Featured on the GMAT Quantitative Section? As we stated earlier, the GMAT’s overall goal is to assess how prepared you are for the business school environment. As a result, the test is and has always been only available to those who have already earned their bachelor’s degrees. This means you will already have some competency with the subjects you’ll encounter in business school, meaning you’ll already have some level of preparedness for the exam. The formatting of the test is entirely computerized. You will be provided with just over an hour—or, more specifically, 75 minutes—to finish the Quantitative section. This section features multiple choice questions exclusively. You will be given 37 questions total. Thanks to the computerized format, the test is designed to shift in difficulty based on how well you answer prior questions. If you get a question wrong, the test will offer you easier questions to answer. With right answers, the test will ask you to solve harder questions. However, unlike many other math-based standardized tests (and despite the test being administered via computer), you will not be able to have a calculator on hand. Rather, you will be expected to show your work by hand with scratch paper supplied to you at your exam facility of choice. As you work on the test, keep in mind that you only have a certain amount of time to finish. We aren’t saying you should rush. Rather, you should use your time as wisely as you can with each question on the exam. Statistically, you will have a maximum of two minutes to solve each question and choose the correct answer. It’s okay if you go over these default two minutes for questions. The best approach to your studies would be to set a goal for yourself as far as your time limit. Specifically, you can organize your time into blocks, by which you plan to have a certain amount of questions completed. The GMAT Quantitative section features two question varieties: “data sufficiency” and “problem solving.” Each of these question types has a specific purpose, and the ways in which you will have to approach questions under these two categories and use critical thinking differs drastically. To answer Quantitative questions to the best of your ability and do well on this section, you’ll have to polish up on several subjects, including geometry, basic arithmetic, and algebra. In order to help you know how to approach questions of either variety, we will go over the details of both. Solving Data Sufficiency questions requires you to read a question and figure out what types of data are necessary to solve it. The Data Sufficiency category will appear less frequently on the exam in comparison to its sister category, and ranges in amount between 13 and 17 questions. While this category is similar in some ways to the Problem Solving questions, namely through the mathematical skills you’ll be expected to utilize as you work through problems, the Data Sufficiency category possesses its own distinct formatting, which will take practice to know how to approach properly. We don’t want to alarm you! We will give you all the information you need to prepare for this question category and how you can approach and study for these types of questions. Will the step illustrated by the first declaration be enough on its own to figure out the problem? Will the second step listed be enough on its own to figure out the equation? Can neither of these statements be enough to answer the equation independently of each other, but they work to help you come to a solution when used in conjunction? Can either of these statements work on their own when it comes to answering the equation? Can neither of the declarations listed work to answer the equation in any capacity? It is highly likely you won’t have to work out the problem in order to come to the correct answer. Rather, you will have to use the data presented to you and your own mathematical knowledge to figure out what steps you would hypothetically have to take and pick the best answer based on your conclusions. The ability to look at an equation and pick up on how it should be solved will serve as a great form of efficiency as you work through the GMAT Quantitative section. Be sure to study up on questions involving geometric and algebraic math, as you will most frequently encounter these on both sections of the exam. Pay attention to the answer choices we have detailed here and store them in your memory. This will save you valuable time and make choosing your answer run much more quickly. Use the process of elimination where you can by testing the statements offered to you on an individual basis. Most of the questions you’ll find on the GMAT fall under the Problem Solving category—anywhere between 22 and 24 questions, to be precise. Unlike the Data Sufficiency category, however, the Problem Solving category is much more traditional and closely mirrors what you’ve found on tests you’ve taken in the past. Half the questions under this category focus on geometry and arithmetic. The other half focuses on algebra. Be sure to practice all three of these mathematical categories while you study! Geometry questions cover line properties; angles; and the mathematical attributes and formulas for measuring circles, squares, and other shapes. Arithmetic will be very similar in practice to what you learned in elementary school. You will be expected to demonstrate your knowledge with percentages; fractions; averages; integers; and decimals. The easiest way to prepare for this portion of the Quantitative section is to study math as much as you can. Figure out what types of math you’re best at and which types you need more help with, then plan your studies based on this. Take as many practice exams as you can to help you continually improve upon your skills and learn where you still need to invest more work. 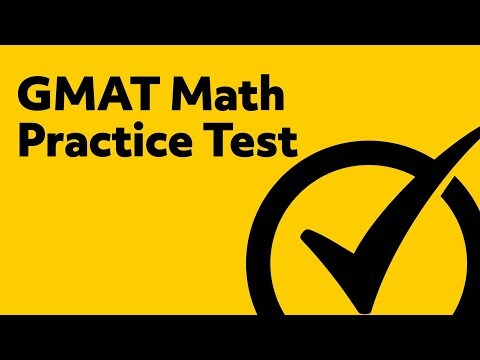 On our site, you will easily be able to find a GMAT Quantitative practice test to start with as you study. It’s completely free to take and will help you immensely. A practice exam will not only help you to learn where you should be devoting your attention as you study, but give you a sense of how the exam works. You’ll be exposed to the types of questions featured here far more intimately than this overview can describe, as well as discover any ways the test could trip you up if you went in blind. Plan out your practice exams and create a regular frequency for taking them. How often you take a practice exam is ultimately up to you and your needs. It is a good idea to touch up on your math skills in general as you study. Math is such a complex subject and you never know where you may need extra help. In addition, quite a few business majors aren’t exposed constantly to math throughout their studies and, when combined with quite a few subjects on the test being high school-only, gaps in your knowledge can easily form without you being aware. You should go over rudimentary mathematical skills before progressing any farther in your studies. Make sure you have the basics down before moving onto the harder stuff, just as with any skill. When you decide to take your practice exams, be sure to look over your answers and score, comparing their answer key and solving procedure to your performance. This will give you a quick and easy idea of what you need to work on. Keep track not only of the questions you answered wrong, but of what subject they fall under. If you notice a pattern, this is where your weaknesses lie with the most intensity. You can then proceed with the next part of your studies, which is to improve upon the areas where you’re weakest. If and when you discover any particular weaknesses, make that your primary study focus. Seek out questions that cover this subject and spend a sizable amount of your study time practicing those. Keep track of which questions you get wrong as you study. Rework them as often as you need to until you understand how to solve them effectively. We guarantee this method will work for any subject featured on the GMAT Quantitative section. While this list isn’t 100 percent comprehensive, we hope it will help you to formulate the best possible study plan to tackle the GMAT Quantitative section and earn a stellar score. We have a number of resources for you to take advantage of, including our GMAT Quantitative study guide and GMAT Quantitative flashcards. At Mometrix Test Preparation, your success is our top priority, which is why we strive to give you all of the tools you will need to excel. It’s our goal to make your study process flow as smoothly as possible.